Negative Emotions will Kill You Quicker than Germs. Your body is an amazing healing machine that has automatic processes built into it to ensure that it maintains a state of perfect health. As we know, our body’s cells naturally regenerate themselves at different speeds, depending upon where they are in the body. We all notice that our hair falls out regularly, yet we don’t get bald (at least not until males reach my brother’s age!). Similarly, we have all had the experience of cutting ourselves only to see how new cells replaced their damaged predecessors. And we donate blood without gradually draining our circulatory system. All of these examples point to a replacement rate of cells, that is characteristic of different tissues and in different conditions, but which makes it abundantly clear that for many cell types renewal is a part of their story. Red blood cells make their repetitive journey through our bloodstream with a lifetime of about four months. Why do we not get well and healthy? Now you may be wondering how a person can create or maintain any illness past a few years if every cell in the body will be completely regenerated and brand new? Doctor Deepak Chopra, my favourite “alternative” doctor and author, asked the same question and through extensive research found an amazing discovery. The reason unhealthy cells continue to replicate themselves as unhealthy cells is that negative emotions from life experiences become chemically trapped in the cell. This is causing it to “remember” itself to be unhealthy. This process started the day we were born. The negative feelings in these cellular memories cause a healthy cell to replicate as “unhealthy” which leads to the perpetuation of an illness or disease. Our vibrating frequency becomes lower and lower as our emotions play havoc with our cells and various diseases settle into our body. Cancer only survives in a low-frequency area of cells. John Dewey, Founder of functional psychology. The chemicals caused by your emotions are stored within the walls of the cells. 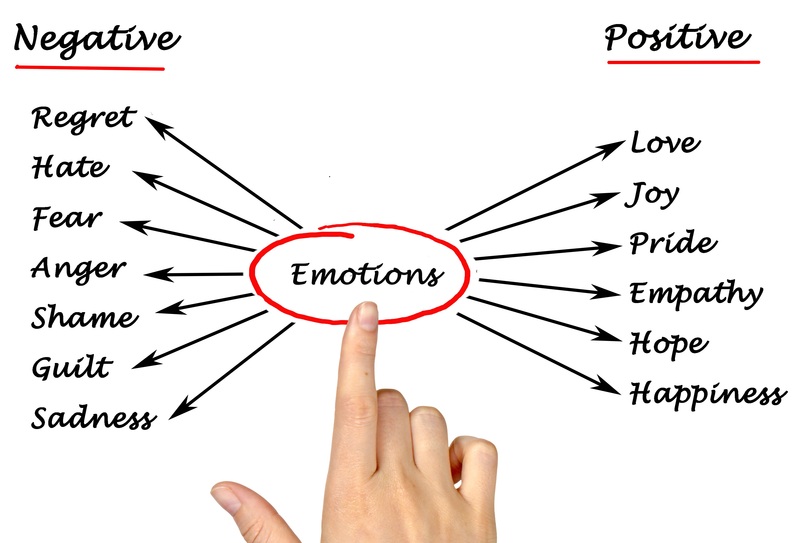 Scientists found that when you express positive, healthy feelings (such as love, peace and gentleness) the cell walls respond to these positive emotions and their communication receptors remain open, receptive, healthy and communicative. On the other hand, when a traumatic event occurs, chemicals called peptides flood into your bloodstream and attach themselves to your cell receptors, hindering chemical communication from taking place. As long as the traumatic memory from these “chemically blocked cells” is not healed, they end up protecting themselves and cutting off healthy and necessary communication with other cells in the body. Blocked communication of cells in the body eventually over time leads to the development of physical illness showing up in the body. “The physical world, including our bodies, is a response of the observer. We create our bodies as we create the experience of our world.” Deepak Chopra. Dr Deepak Chopra decided to do a life study of successful survivors of illness and found that they all have two things in common. Secondly, they could forgive and heal themselves from past traumatic memories. Brandon Bays, a woman who discovered the power of healing from within, cured herself of a tumour the size of a basketball in less than six weeks by releasing and reprogramming her traumatic memories. She went into her inner world and found her connection to her Divine Inner-e and reprogramed her cellular memories and liberated herself from stored up negative emotions. Under the guidance of Lilith of the Holistic Perspective Centre, I am personally undergoing a process of Inner-e shift to come to a true place of healing. I have had to forgive myself for what happened in the past – as far back as my primary school days, and let it go. This inner journey process will typically, re-open the receptors creating healthy cell communication. The clearing and reprogramming of the unhealthy cellular memories create the profound effect of true physical healing all throughout the body. For the essential steps towards healing, check out the online Holistic Perspective Centre to start the healing process right now. “Every human being is the author of his own health or disease.” Sivananda, a Hindu spiritual teacher and a proponent of Yoga. By adventuring into your inner-e world and exploring the heavy, hard or painful experience inside you, you tap into your natural ability to heal it. The secret is to dive into and through that dramatic story and trauma from your past which is emotionally holding this pain in place. Once you liberate this memory and see what is at the very core of it, it will shift, and your body will begin to heal. This powerful healing feeling is available right now for you to tap into and permanently replace long-held patterns of shame, resentment and grief with new feelings of forgiveness, compassion and peace of mind! The secret is to go within and find peace with what is here now. You can find peace with anything. It doesn’t matter how horrible you believe it is, someone on the planet has overcome what you’re going through and perhaps a situation that was even worse! The best news is that you can heal yourself in the comfort of your own home. Get ready for an in-depth physical, emotional or mental healing experience by contacting Lilith of the Holistic Perspective Centre. Let’s not kill ourselves with emotions. If you have not already downloaded the free section of my latest Book, do so on the right of this page.